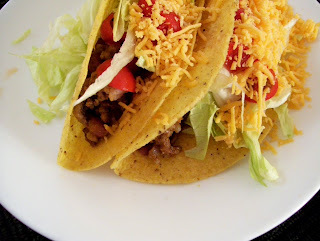 For years, the tacos I served my family followed a tasty, but uninspired recipe...browned ground beef mixed with a package of taco seasoning was tucked into a taco shell and topped with refried beans, lettuce, tomato and cheese. Taco sauce on the side, please! Happily, my tacos evolved...a variety of meats was introduced like grilled chicken, pork or steak. Sauteed onions and green peppers, avocado, olives, mild to hot taco sauce, sour cream and rice also became tasty options. Even the shells became more fun and choice-worthy...corn, flour, soft, crisp, flavored and pre-formed; all of this creativity changed the simple little taco into a much loved, two-handed meal. 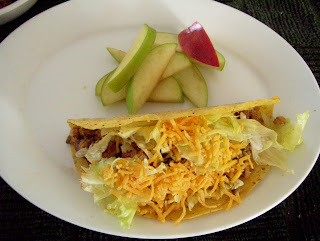 My Beans and Rice Taco recipe was an experiment with flavors and textures that turned out to be wonderful. Expensive meat became a secondary ingredient and altogether, this recipe made a satisfying cost-cutting meal. 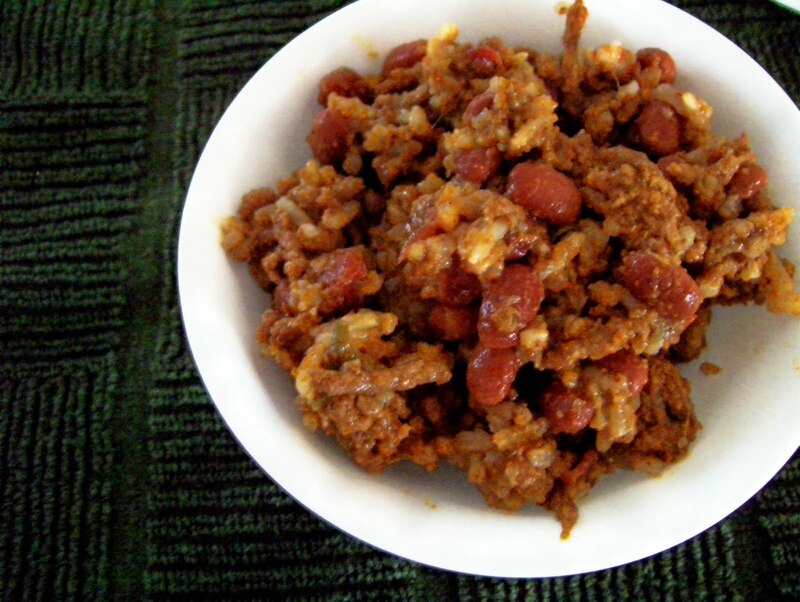 Also, the homemade taco seasoning is so much better than packaged...you will love it! Mix beans and tomato/okra together in a sauce pan. Heat on med/high until hot. Add cumin and Tabasco, mix well. Lower heat, cover and simmer 30 minutes. Add rice and mix well. Turn off heat. In a frying pan, brown ground beef on med/high; drain. Lower heat and add taco seasoning and 1/2 C water. Mix well. Add more water if needed. Add bean mixture to meat mixture. Mix well and heat through. Spoon 2-3 T of meat mixture into each taco shell. Serve with additional filling options listed above if desired.